Pumpkin Scissors is an odd name for a slightly odd show. I watched it years ago, having purchased a DVD box set on a whim. It has an entertaining cast, and is set in a wonderful alternate universe that seems to be the rough equivalent of a post WWI Germany, just a few years after signing an armistice. Alice Malvin is a fiery 2nd lieutenant with (presumably) her first command, a PR / war relief organization, and she constantly drags her squad into trouble with her overbearing nature and unapologetic sense of morality, justice, and duty. The show takes some hard looks at the ravages of total war, but manages to enjoy some lighter moments as well. My biggest complaint is the fact that at the end of 24 episodes, several minor story arcs have been resolved, but the major story arc just introduced was left completely hanging, obviously prepping for a second season that never got the production green light. That's a shame, as I thought the show still had a lot of potential. Still, if you're prepared for this disappointment (not atypical with anime, unfortunately), you can at least enjoy the existing show for what it is. Not perfect, but still a lot of fun to watch. A Great War anime with the manga still being published. It has been awhile since I have seen this anime. I have the DVD collection in my library and it is <$20 for the SAVE version. Lt. Malvin graduated from her military academy just to find out that the war is over. She was left in charge of the Imperial Army's Intelligence Section 3 to spread military propaganda. Problem is that corruption has wreaked havoc during and after the war. Being the idealist, she wants to uncover this corruption. Among her discoveries is a super soldier program called the "Invisible Nine." She finds Randel Orland, a giant veteran of the last war, who is related to the program. The action is great, the running gags (Randel vs. the portable urinal is a favorite) are hilarious, and the story is compelling. Randel going into his berserk mode (he chants "Töten Sie!" or "KILL THEM") is usually the action highlight of the episode. Problem is that the manga started in 2002, while the anime started in 2006 and ended in 2007. The manga is still ongoing. It doesn't complete the major arc of the story, although it does answer a few minor arcs. It reminds me of the "Valkyrie Chronicles" anime and a slightly lighter "Youjo Senki" (The Saga of Tanya the Evil). 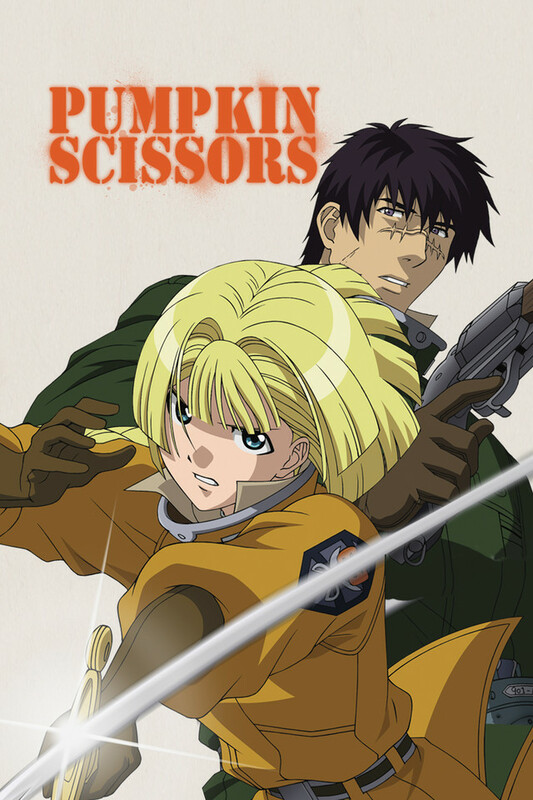 It is a classic and a definite watch for a war anime. Sign me up to defeat wartime corruption! Despite the unfinished nature of the show, I really enjoyed the Genki Girl/Gentle Giant dynamic of the main duo. All the characters were interesting, and quite often everyone got their own bit of screentime so no one felt left out. It also has some good action scenes, and the premise is a nice one: combating greed and corruption in all its forms. I highly recommend checking it out if you like military action and/or steampunk, they delve a bit into the weapons here and there and there's often a tank or two thrown in the mix so lots of explosions. All in all, it hit all of my personal buttons on what it takes to be a great show. I say give it a try! It is a very interesting anime it changes around episode ten or so i think and i wish they could have done more back round into his past as part of 901 but they had to cut it short i hope they decide to continue this but kinda doubt it since its from 2007 still a person can hope. A slightly better than average show. This is a tough show to rate. I liked the fact it deals with the difficult period of adjustment and recovering from a major conflict. I liked the plot twist of the 900 series units. The characters were overall likable and there are a few nicely timed comedic moments.. Yet it really doesn’t come together in a manner that would put in most people’s top 25 list. Is it worth a watch.. yes, but it is not a must watch either.